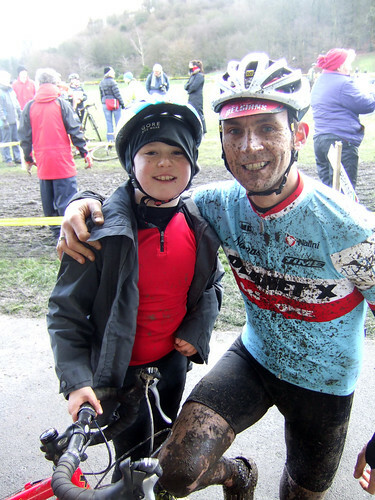 Organised by our old mucker Chipps Chippendale of Singletrack mag fame, the Todcross New Year cyclo-cross race is a classic Yorkshire mudfest. 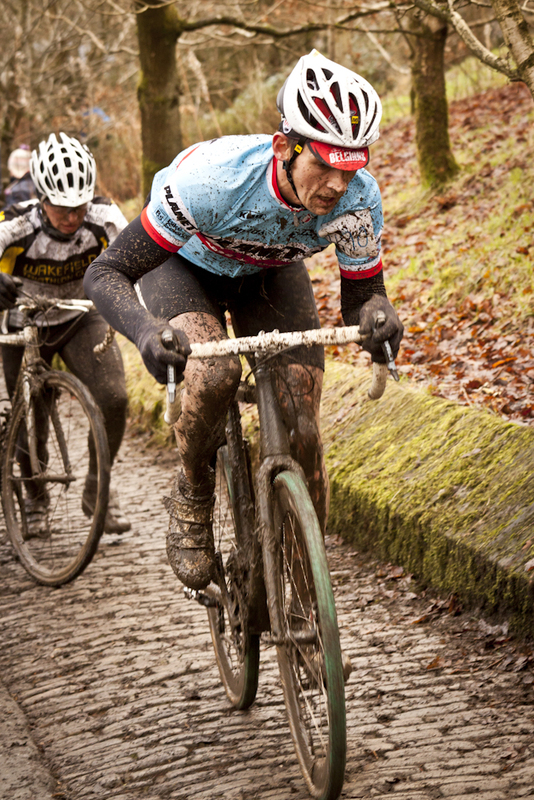 Planet X rider Dave Haygarth tackled its famous cobbled climb again this year. Rode the Todmorden Cyclocross on Monday. It’s the fourth running since the event’s revival, and it has earnt its place on the legendary races calendar (it’s currently an imaginary calendar but you get the picture). I’m trying to blog a bit less about every single race I do – I know it gets a bit repetitive and loses any story value if I write the same old but it’s just one of those events I get such a buzz from each year without fail. In many ways it’s the highlight of the cyclocross winter season for me as I know it is for many of my racing chums. (I know it is for Alan – he described it as ‘his nationals’ and I know what he means). Despite the heritage of the venue as a former (early 90s) National Trophy course. the Todmorden ‘cross is an uber clubman event. Being at the fag-end of the Christmas holidays would normally mean an event is sidelined a bit, but given that it’s a week before the nationals (which sadly I won’t be riding this year) it always attracts some better racers and people in very good shape. After being 3rd last year behind a flying Dan Cook I saw the start sheet and resigned myself to a probable top ten this time round, but predictions are useless… and I rolled across the line in 3rd place again this year – but an even more satisfying third from the 120 or so starters in the ‘experienced’ race (as Vets is sometimes disparagingly referred to). Having been outpaced on the first loop of open grass I didn’t panic… neither did I wobble at having to queue behind a fallen rider then subsequently run the first cobbled climb as a result. I was chugging along in 15th after the first cobbled climb but knew things would pick up. And did they! The Dirty Disco is a great all round cyclocross bike, but throw in a course with proper tech and fast descents, and I knew I was one-up on those around me. I just patiently carried on doing what I was doing, and by the finish had done enough to get myself into 3rd place and enjoy the last lap a little bit more than the others. I didn’t even change bikes, despite the mudfest it was clearing the bike really well in the wet and not picking up too much grass in the gears. Dead happy after a good day’s work. Stay upright, be confident in your lines and your fitness, and dig deep into the sore drawer up those cobbles every lap. Apart from Brass Bands and Belgian Beer, that’s the general idea of the Tod ‘Cross. Can’t wait for 2013 now.